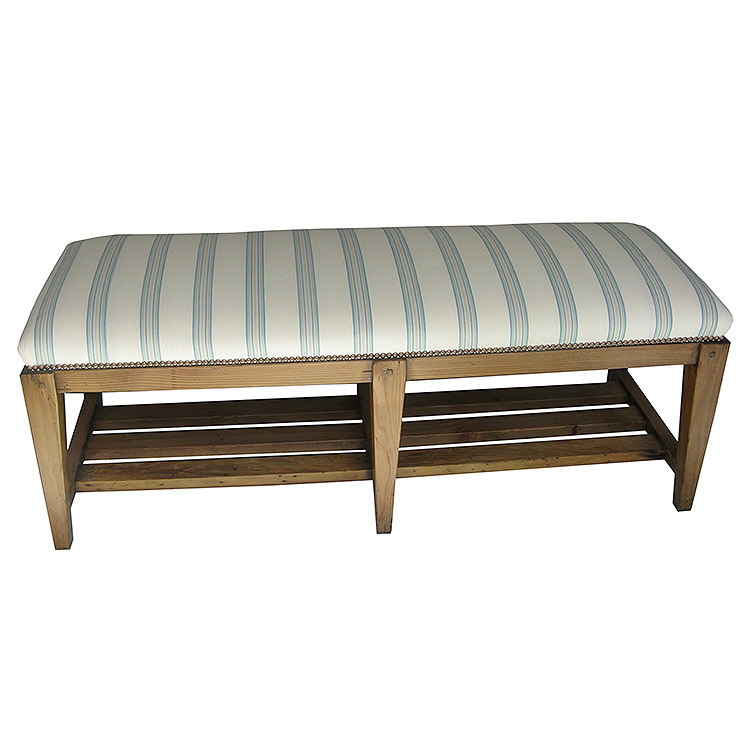 Rustic Bench with 6 tapered legs and open slat shelf below. Standard design includes square peg tenons on upper legs and nail head trim. As Shown: Pine with Light Brown finish and medium distress.